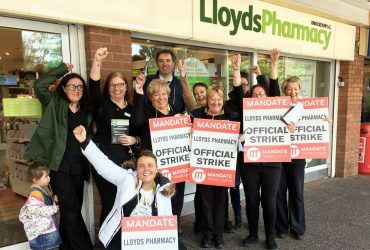 It’s just under 10 years since Mandate launched our Respect Retail Workers campaign. This important campaign helped to highlight the many instances of verbal and physical abuse in the workplace that our members face on a daily basis. 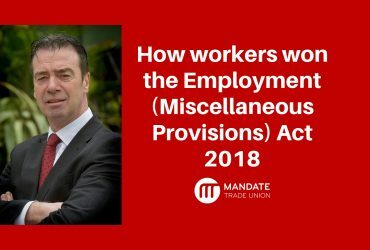 However, our campaign could and should be doing more to challenge employers and Irish legislators to initiate an environment in the Irish retail sector where abusive behaviour, violence and the threat of violence against retail workers will not be tolerated under any circumstance. Recently there has been growing concerns expressed by Mandate members who say there has been an increase in the frequency and severity of verbal and physical abuse in the workplace. It is in this context that we are asking you to take a few minutes from your busy day to complete this survey to help us build towards a safer working environment ensuring workers feel valued and respected. I’d urge every retail worker throughout the country to take a few minutes to complete this vitally important survey. Tell your work colleagues about the survey and encourage them to complete it as well. 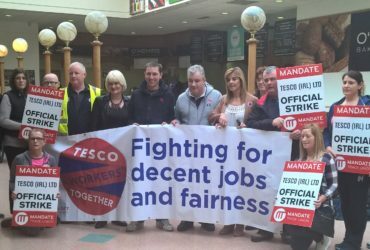 If we all work together we can achieve great change and importantly deliver on the biggest challenge of all, which is Respect for Retail Workers in Ireland.